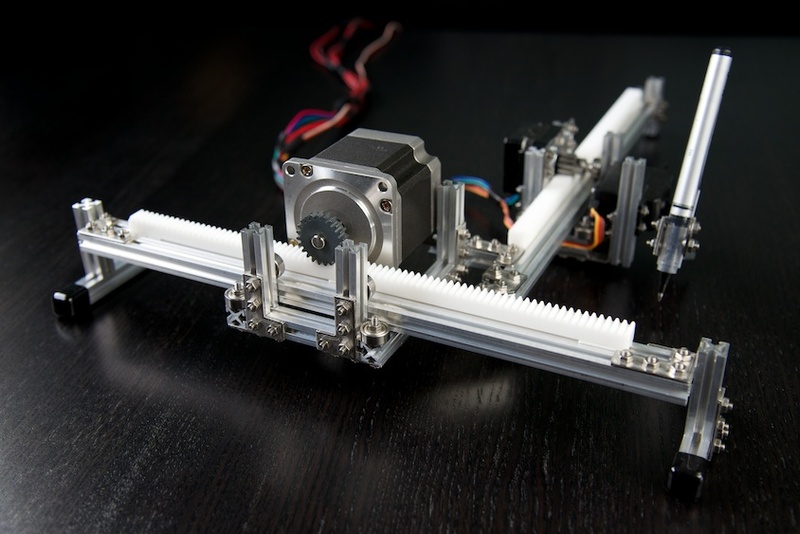 This project uses two stepper motors and a servo mounted with a Maker Beam construction. It can plot text and figures loaded onto the Arduino program board. 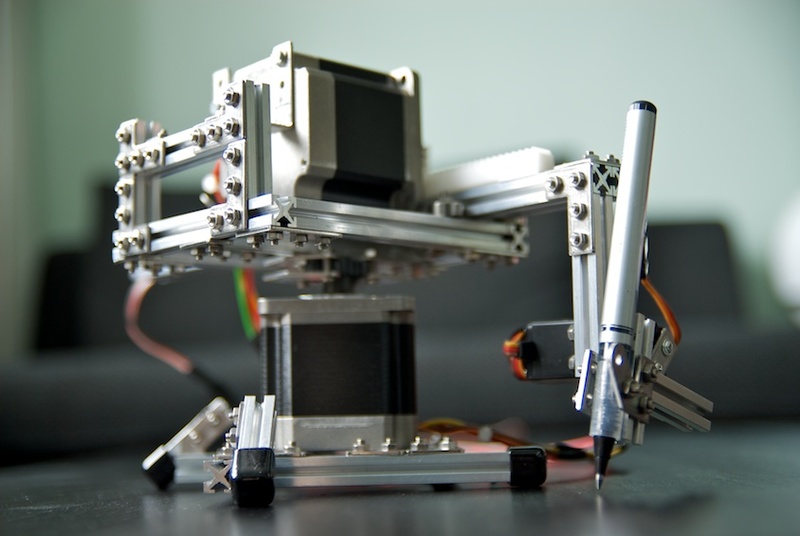 This plotter has a kind of traditional construction and can be controlled live by drawing on an html canvas in a browser. It uses websockets between the browser and web server and serial communication over USB between the web server and the plotter. 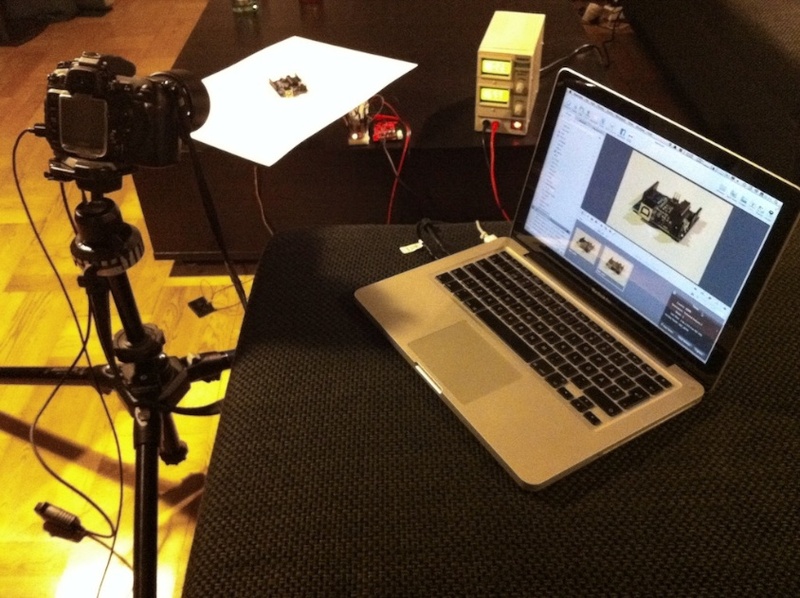 This project rotates a product platform using a stepper motor and captures photos by remote controlling a Nikon D200.